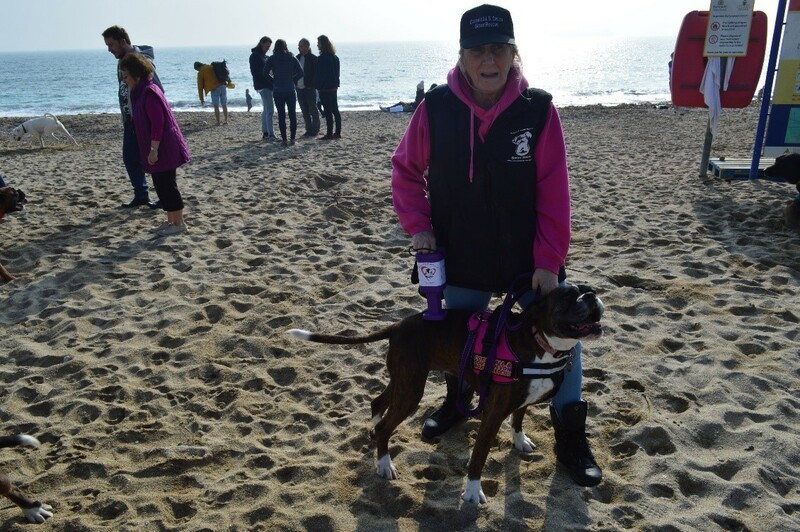 The Cornwall and South Devon Boxer Rescue have been holding events all over the county, including dog walks and raffles. Their most recent event was on the 24th February at Gyllyngvase beach, where they raised over £60. 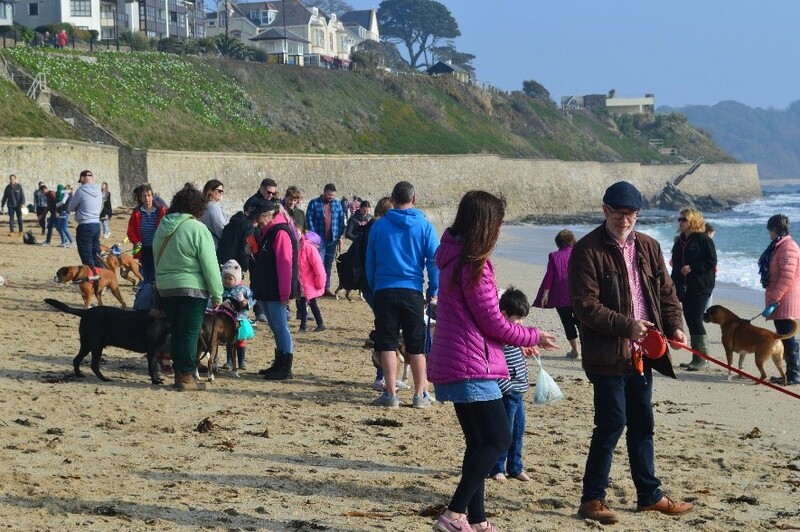 Dog walkers take to the beach to raise funds. The charity is trying to raise funds for new kennels in order to start taking on dogs with behavioral issues that cannot be housed with the other dogs. As Dog Welfare Officer, Angie (pictured below) explains, rescued boxers (as well as other breeds) are often put down as a result of behavioral issues they have developed due to mistreatment. Dog Welfare Officer, Angie, posing with one of her rescue dogs. Archie, a Labrador-Rottweiler cross, enjoying the day. 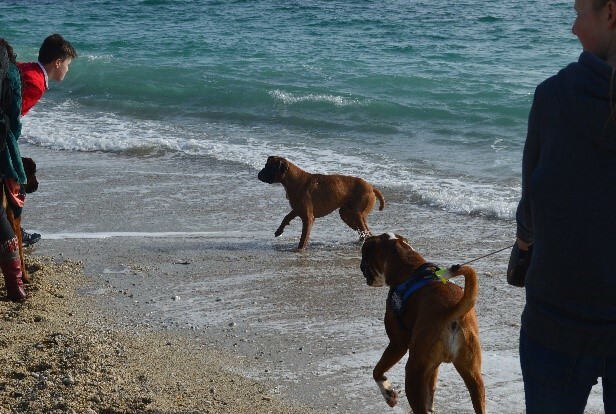 (Pictured left): Archie, an ‘honorary boxer’. 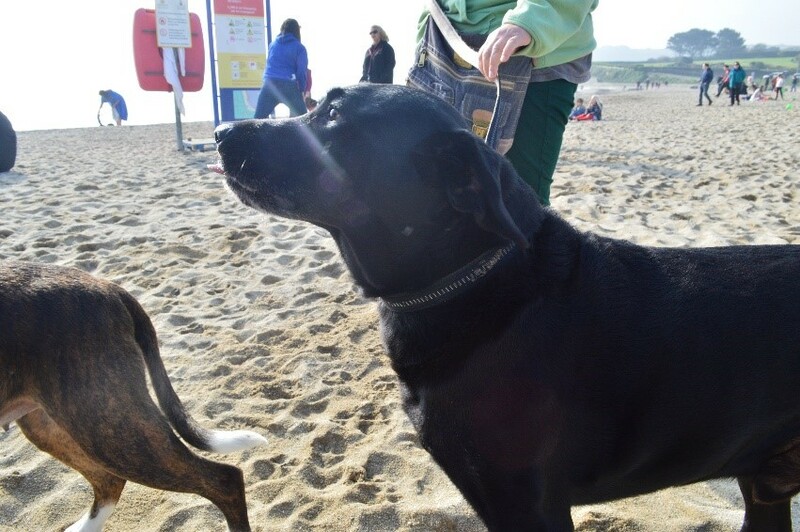 Archie comes along to most fundraisers and is great at using his gentle nature to calm nervous dogs. His owner explains that he spent over three years in kennels after being rescued, as three different owners adopted him but returned him shortly after, as they found he wasn’t what they were looking for. Archie has now found a home for life. Basil and Stanley (below), this handsome duo are an example of the kind of dogs in need of extra protection. Basil’s missing leg made him difficult to find a home for. 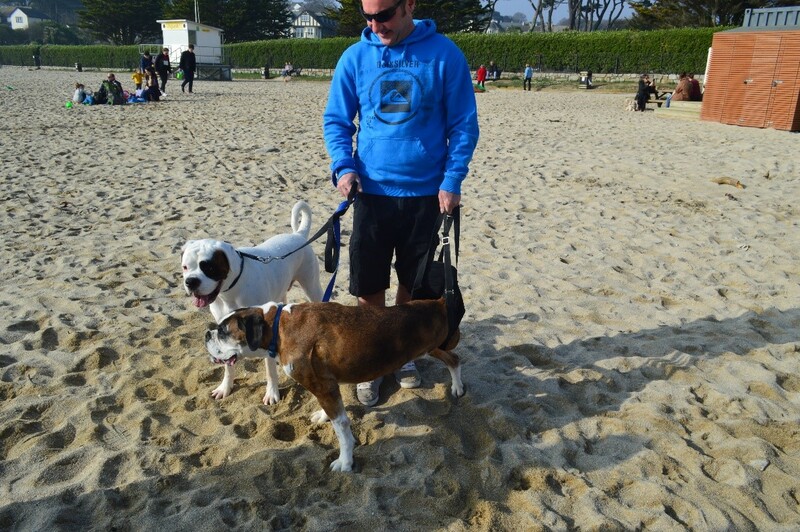 Basil and Stanley, a pair of rescued Boxer dogs. 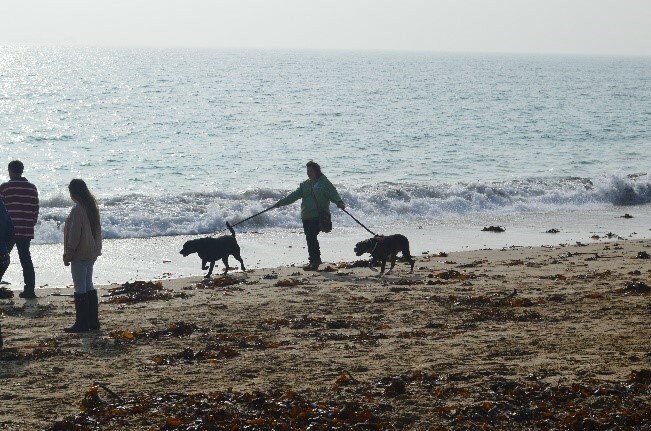 The weather for the day was very fortunate, as many dogs took to the beach for a swim and a spot of sunbathing. Playing fetch in the sea.